Informal engagement events about the future of services in Central Lancashire have begun - but could they be better? The NHS in Lancashire and South Cumbria needs to be more “credible and honest” in how it talks to the public about proposed changes to services. That was the verdict of one of the team tasked with transforming health and social care in the region. Andrew Bennett, Executive Lead for Commissioning at the area’s Integrated Care System (ICS), was speaking at a meeting to approve a new policy on public consultations. “The main reason why we’re trying to do this is because we need to discharge these communication and engagement responsibilities more effectively than we have been doing,” he told the Joint Committee of Clinical Commissioning Groups (JCCCG). “We have to be more credible, coherent, evidence-based and honest about what we need to do,” Mr. Bennett added. Members heard that £1m has been set aside to improve communication with the public. A representative of consultants Freshwater said work was underway to improve the “visibility” of engagement events. The JCCCG approved a plan to develop a single strategy for consultations across Lancashire and South Cumbria – although individual CCGs will remain legally responsible for the process undertaken in their areas. Gary Raphael, Finance Director for the ICS, said the NHS would “learn how to do things better” the more it engages with the public. Central Lancashire has been one of the main areas of focus for public engagement so far. A series of events has taken place to ask for opinions on issues including a redesign of urgent and emergency care services. It emerged last month that a formal consultation in the area – planned for January 2019 – has now been postponed until next May at the earliest. Denis Gizzi, Chief Officer of Greater Preston and Chorley and South Ribble CCGs, told members that the process, when it starts, will have to seek views of residents beyond Central Lancashire – because the Royal Preston also provides specialist services over a wider area than its own local patch. And Mr. Gizzi said that the 2,000 people who had taken part in informal events across Preston, Chorley and Leyland over the past two years was “about half the attendance” at the average Accrington Stanley match. “That doesn’t sound very much to me,” he said. “We have to use modern technology to engage the broader population – the kind of people who just go about their daily lives and don’t really care too much about what we’re talking about,” Mr. Gizzi added. But some members of the public who were present at the meeting complained about a lack of local publicity for events. 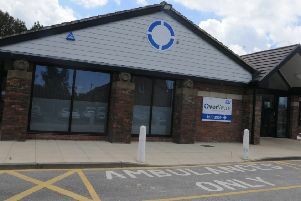 “We’re told a lot about modern approaches – but they don’t appear to be efficient in the slightest,” Jenny Hurley, from the Protect Chorley Hospital group, said. Mr. Gizzi told the meeting that no options should be off the table for public consultations and none should be favoured. But he warned that they all had to be “deliverable” otherwise it would be “pointless”.